The Club Himalaya Nagarkot offers a rare blend of nature and modern amenities and has become synonymous with Nagarkot. Each room opens to a private balcony, where one can view the most splendid sunrise and sunsets. The interior is traditional and simple yet stylish and elegant. Club Himalaya’s comfortable accommodation, cozy ambiance, delicious food and the welcoming and gracious staff creates a true ‘comfort above the clouds’ experience. Featured in TIME (Liam McMillan, Dec 10, 2001) as a “Hot Spot” of the world, Club Himalaya has earned local and international accolades since its inception in 1996. Situated atop a lush-green hill at an elevation of 7,200 ft, it offers an unrestricted 360˚ view from Annapurna in the west to Everest in the east, Kathmandu Valley, and dense forests. Each room opens to a private balcony, and the interior is traditional and elegant. club Himalaya is a place to relax your mind and body, get in touch with nature, experience Nepali hospitality, and escape the hectic demands of city life, all in the comfort of a superb resort in a magnificent setting. 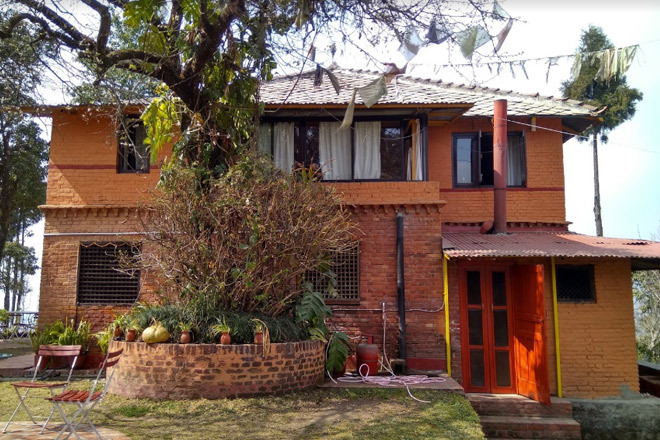 Club Himalaya at Nagarkot is a place to relax your mind and body, to get in touch with nature, experience Nepali hospitality, and escape the hectic demands of the city life all in the comfort of a superb resort in a magnificent setting. Club Himalaya is for high altitude adventurers a place to acclimatize; for philosophers, a place to listen to the sounds of silence; and for honeymooners, a setting to romance with nature. Resting on a single independent hill called the Windy Hill, Club Himalaya has become the pride of Nagarkot. Besides the fresh air and peaceful atmosphere, we offer you fine dining, superb facilities, outdoor activities to bring you closer to nature, and services to cover your business and conference needs We welcome you to lose yourself in its lush greenery, listen to the sounds of the silence and commune with nature high up on a ridge and enjoy our unparalleled hospitality.